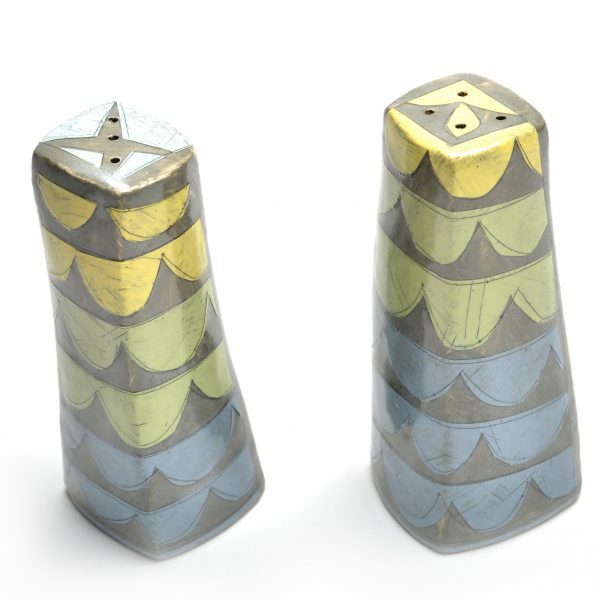 Fun salt and pepper shakers with 2 different designs on each side. 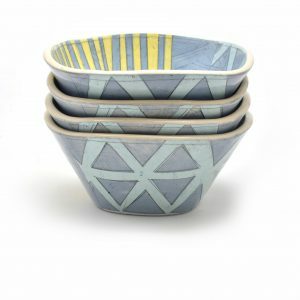 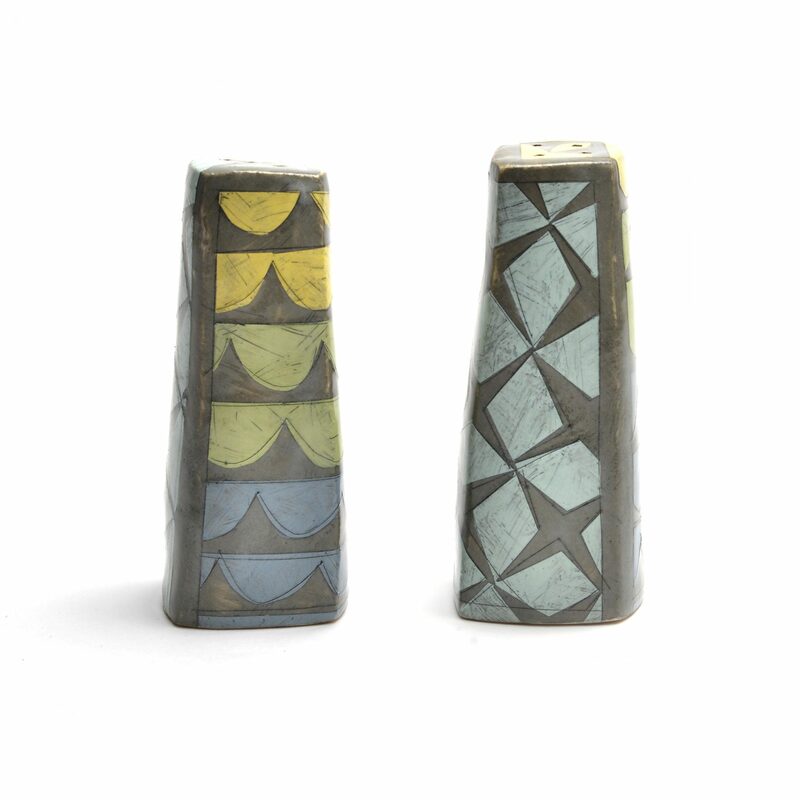 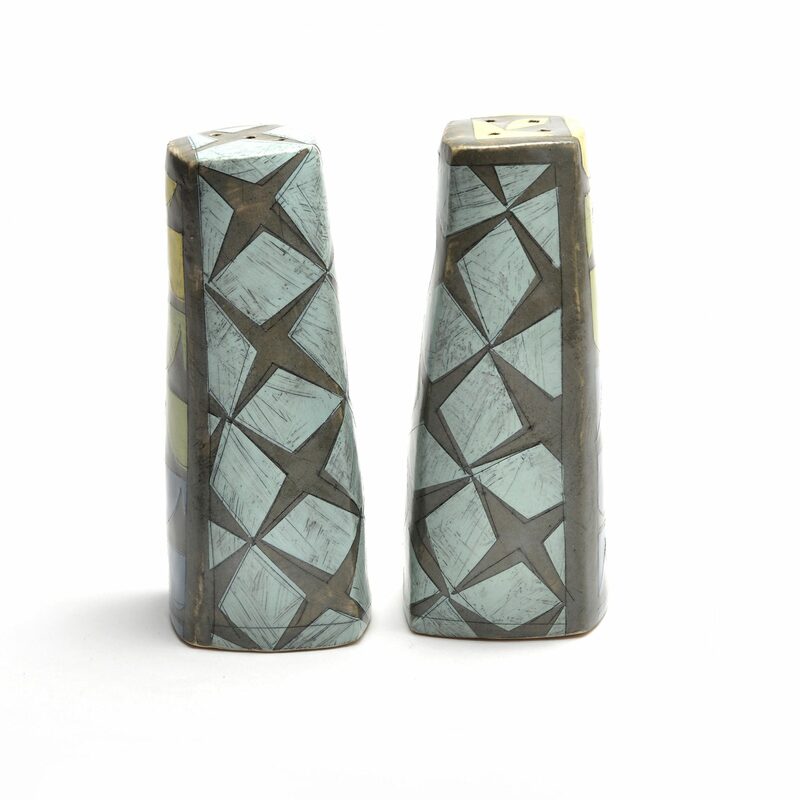 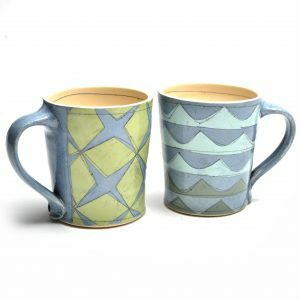 Artist Kristin Schoonover creates her ceramic pieces by layering multiple colored slips with hand-cut stencils. 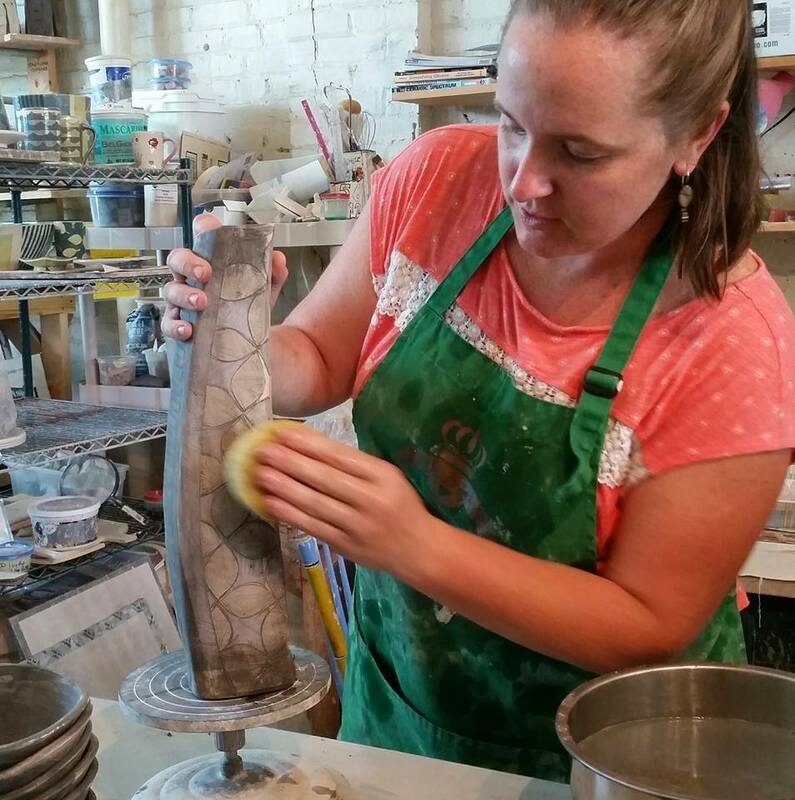 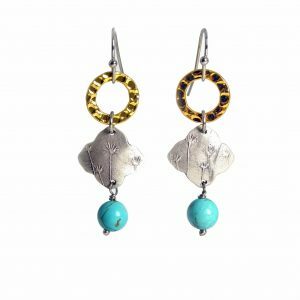 After the color, the pieces are bisque fired, a black wash is applied as a patina, and they are dipped in a clear glaze. Her work is fired to cone 6 in an electric kiln.